You are lying in your bed and you want to sit up. 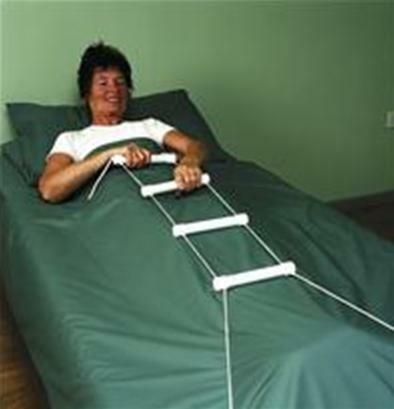 If you still have the strength a rope ladder for your bed is a ideal aid to help you to sit up. By taking another rung eventually you will sit up in your bed.